The pretty little village of Formigueres, historic Capital of the Capcir, lies in the heart of the Parc Naturel, Five kms north of Les Angles on the D118. Safe and family-friendly ski resort in winter, it is equally worth visiting all year round. Once the snow has melted, the mountain meadows are bathed in autumn crocus, gentians, lilies of the Pyrénées and rainbows of high mountain flowers. Near the ski station a flute playing Spanish shepherd guards his flock and cattle graze the rich pastures. It is farming country and the farmers’ wives are proud to show you the farms and allow you to taste their wares. 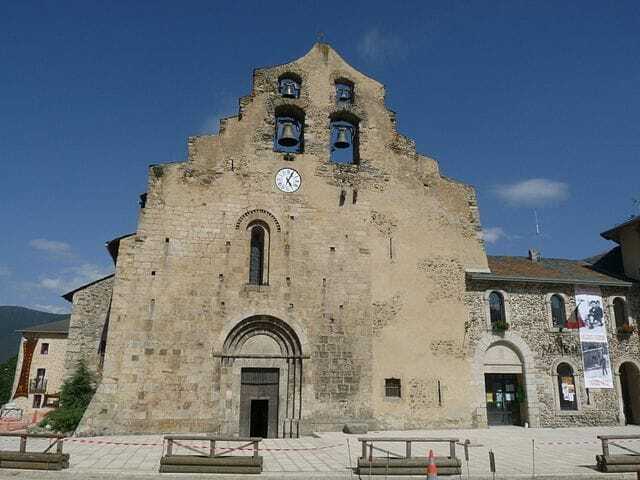 The XI c church of Ste Marie is faced by a XII wall bell tower and is joined to the Mairie and Tourist Office. The door of the Mairie is all that remains of the door and walls of the fortified château of the XI c. In the XIV c, Formiguères was chosen by the Kings of Majorca to be their Summer Palace. Sanch I, son of Jacques I, King of Aragon and Count of Barcelona, was an asthma sufferer. The air in this friendly and robust village high in the Capcir was reckoned to be good for him. It is certainly good for us. King Sanch would not have had the advantages of the Ski Station. Although it is situated 4kms from the village itself, it has a very large, free carpark and a free navette during French school holidays. 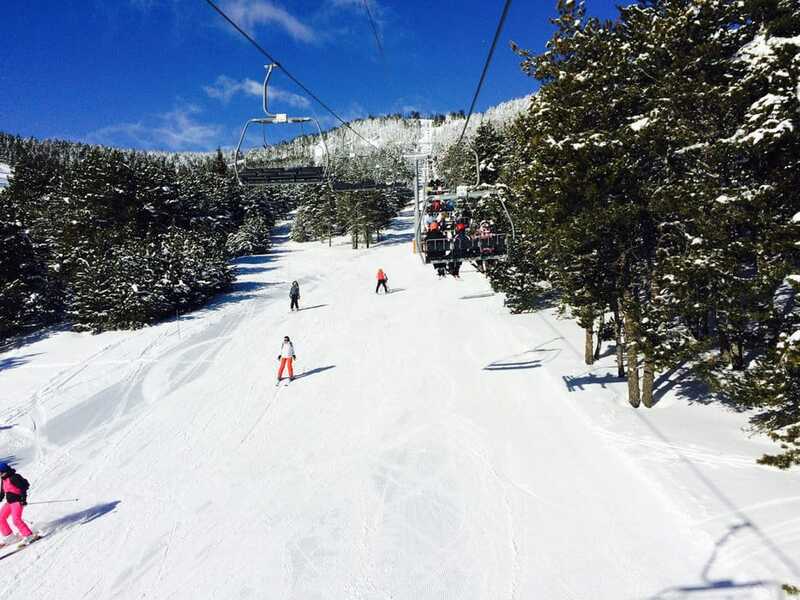 All the runs return to the base where a large cafeteria with vast sunny terrace, a crèche for under threes, sports and ski hire shops and the possibility to leave ski equipment over night make life easy and relaxing. There is a free button lift if you’re not yet sure if skiing is your thing, and a friendly ski school. The swooping pistes run through tall pine trees of the second largest pine forest in France, from the trunks of which, in olden days, the masts of the ships for the French Navy were made. There is good off piste skiing, there is sledging, para skiing, snow boarding, snow shoe walking, cross country skiing and merely sitting and watching. From Camporells the 4 hour walk to Lake Bouillouses passes through some of the most beautiful and dramatic mountain scenery in the world. 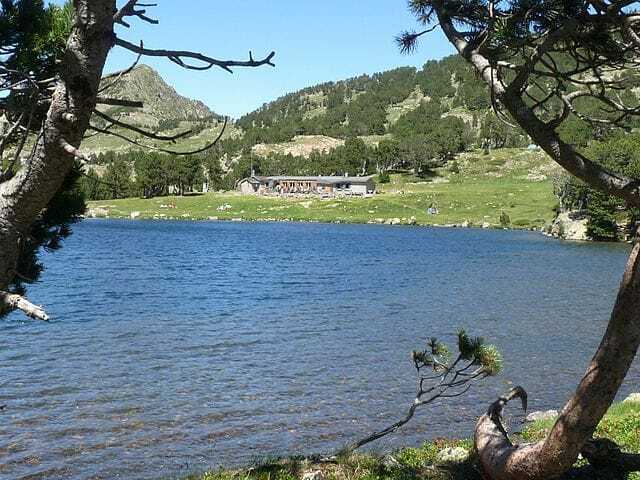 Puyvalador with its lake, 32km of ski slopes and wonderful summer walking is the last village before the Pyrenees Orientales drop into the Aude. It also boasts a chairlift which is open all year round. Probably worth ringing 04 68 04 44 83 to check.